Pottery Barn Perfect! You will fall in love with this Adorable 3 Bedroom 2.5 Bath, 2 Car garage home with a Private yard in a perfect location! 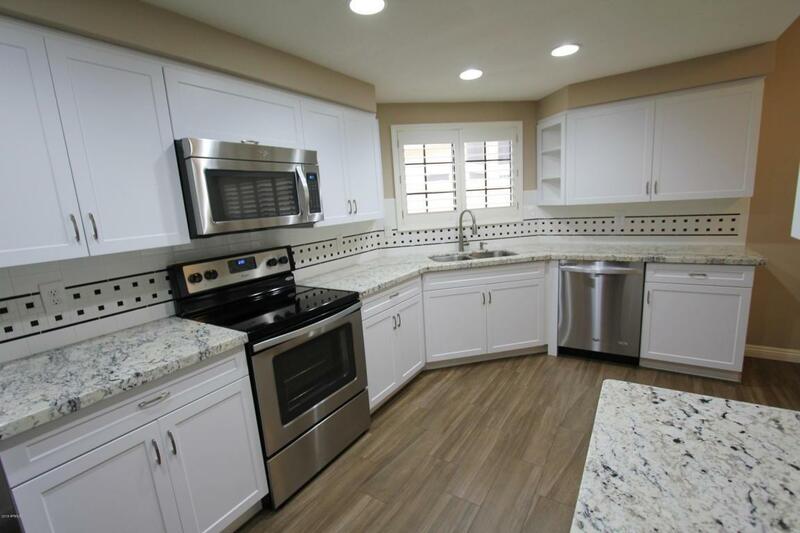 This completely remodeled home boasts, Vaulted ceilings, Wood Shutters, New Carpet, Wood-look tiled floors, Fireplace, and even upgraded Faucets, Fixtures and Fans! The Kitchen Features Shaker style cabinets, Granite countertops, subway tile backsplash, a Huge Pantry and Stainless appliances! The Downstairs Master Suite Boasts a Large Walk-in Closet, French doors to the patio, Dual Vanities, Granite countertops, and a Subway tile surround Shower. Walk out back to your own private Oasis with an Adorable Brick patio, Green Grass and Mature landscaping. Incredible community offering a Heated Pool/spa, Poolside Ramada, Tennis courts and A Huge Park!